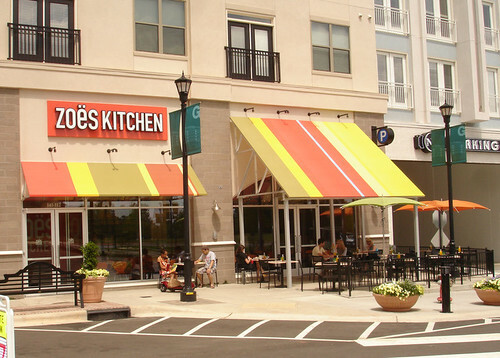 This past weekend my wife and I had lunch at Zoës Kitchen, which just opened up a month or so ago in the newest section of North Hills. Zoe’s features “Mediterranean-Inspired” food like hummus and kabobs, but they also have other offerings like turkey sandwhiches and chicken wraps and salads. They have indoor seating with a sleak modern decor and also feature a few outdoor tables under an awning along the sidewalk. Service is great and low-key. It is the type of place where you order at the counter and they give you a number to put on your table and they bring out the food to you when it is ready. 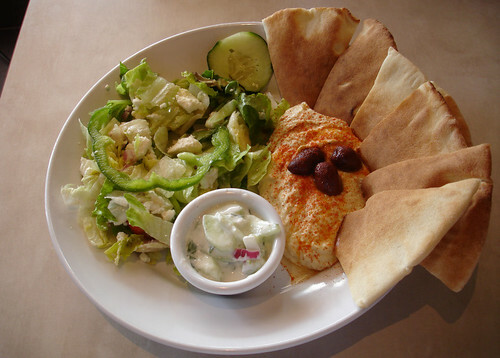 My wife enjoyed the hummus salad plate which includes a greek salad, cucumber riata, hummus, pita bread, and olives. 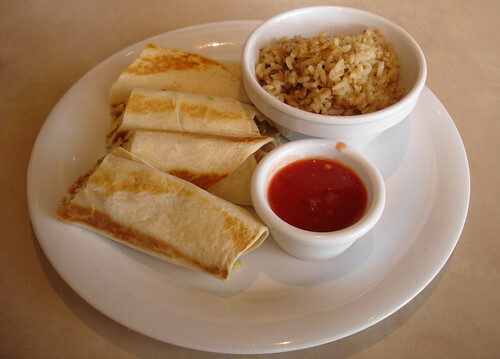 I opted for the Chicken Roll-ups which are tortillas filled with chicken, feta, caramelized onions, lettuce, tomotoes, and a side of salsa. We agreed that they were both fantastic. It was very affordable too. Including drinks, our total bill was around $17. 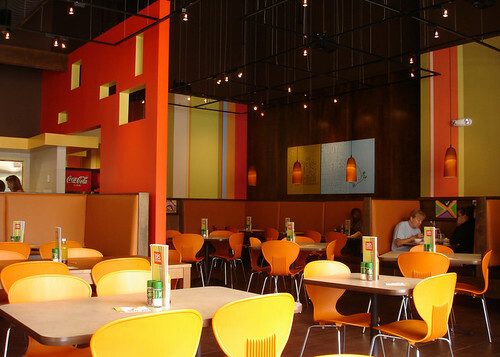 I know we will be back to grab a bite to eat here the next time we go out to see a movie at the North Hills Theater. You can check out their full menu here.